You don’t have nab the big name to ‘win’ free agency. Sometimes, just simply getting a competent starter for a reasonable price can have a major impact. Many of the guys below were forced to take smaller deals than others with their talent, whether it was because of age, injury, or a down season. That makes them the rare free agents that could actually outperform their cap charge. The reason for the deal couldn’t be more obvious, as no player has struggled with injuries more in recent NFL history. In five seasons, Verrett has managed all of 1,266 snaps. New Steelers corner Steven Nelson played 1,308 last year with the Chiefs including the playoffs. 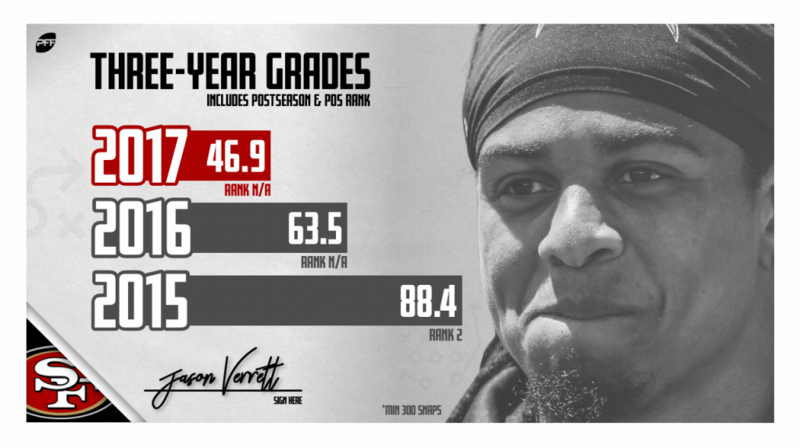 In his lone ‘full’ season back in 2015 though, Verrett earned a 90.9 coverage grade. Full being in quotes there as he still only managed 720 snaps that season due to his improbably bad injury luck. There was a time when Bucannon was the trend-setter for safeties transitioning to linebacker. In 2015 and 2016, he earned coverage grades of 76.7 and 77.0 respectively. He’s seen his play dip considerably since, but he reunites with former defensive coordinator Todd Bowles who oversaw Bucannon’s best seasons. There are a number of reasons why Clinton-Dix was forced into a prove-it deal. The deep free agent safety class vacuumed a lot of the available cash at the position, and Clinton-Dix hit the market with question marks surrounding his effort. He has a chance to turn that around in one of the league’s most physical defenses, as the talent has never been the issue with the former first-rounder. There’s the glaringly obvious risk here, and that is that Kendricks is still awaiting his sentencing on insider trading charges that should be resolved in April. But that’s really not much of a risk financially for the Seahawks as they won’t be paying him a dime if he’s behind bars. Just because Weddle’s play has slipped, doesn’t mean he’s not still a quality option at safety. 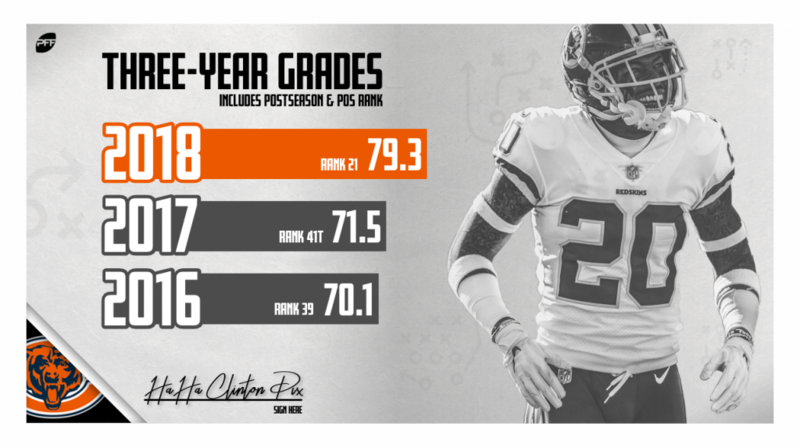 At his peak, Weddle had multiple seasons where he was PFF’s highest-graded safety. His 80.7 overall grade this past season still puts the 34-year old on par with the safeties getting triple his deal in free agency. Williams is set to get his old gig back after Taylor Moton usurped him on the right side last season. Cutting Matt Kalil means Moton moves to left tackle, while Williams gets a chance to prove his knee is healthy. 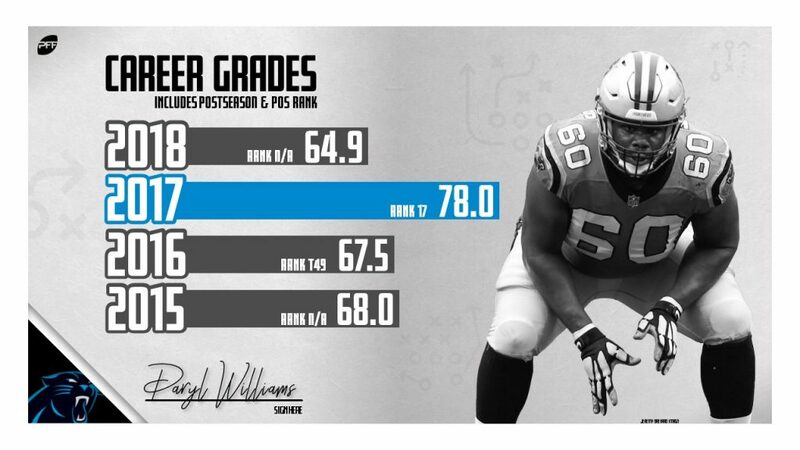 If it is, the Panthers are getting a player that earned a 78.0 pass-blocking grade in 2017 for the same amount the Bengals are paying Bobby Hart. He’s 33, played 1,295 snaps in his career, and never started more than five games in a row. 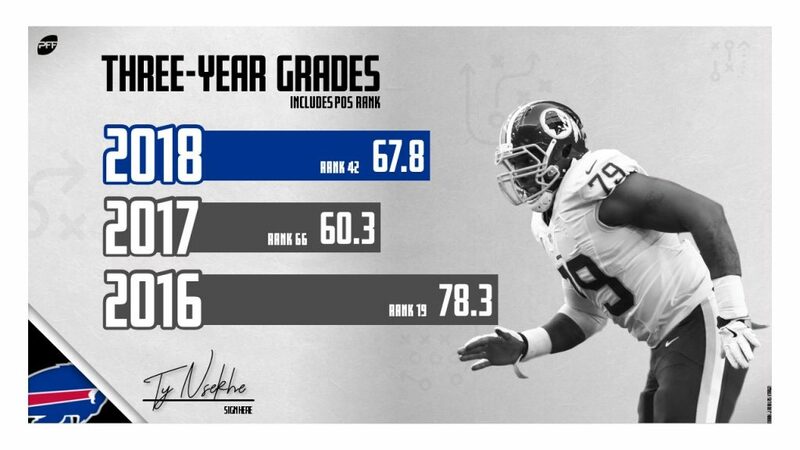 No matter though, Nsekhe has proven in his limited time he’s a quality starter at tackle in the NFL. To get that for less than half of Trent Brown is a steal. To get Bridgewater for less than a third of what Nick Foles got, and less than what Bridgewater made a season ago, is a minor miracle. The former first-rounder earned an 80,0-plus grade last preseason with the Jets before the Saints coughed up a third-rounder to get him. It’s difficult to believe he didn’t get a bigger offer from Miami, but Bridgewater seems content to be the heir apparent in New Orleans.